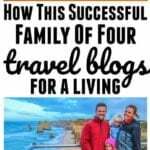 Do you want to travel the world and take your job with you on the go? Do you want to increase your income but worry you don’t have enough time to commit or a consistent enough schedule? 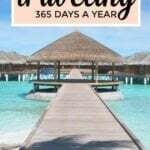 Do you want to have the flexibility to make your own schedule….working a lot when life is calm and backing off your hours when you want to focus your strength elsewhere in life? VIPKID teachers come from many walks of life. 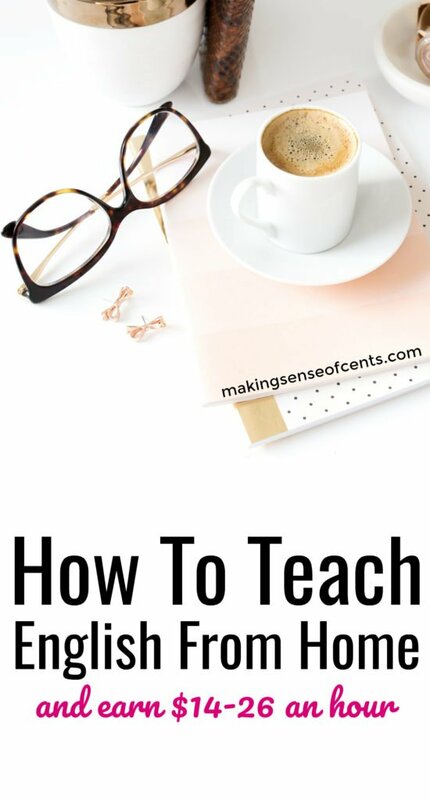 If you have a 4 year degree, a high speed internet connection, and some experience teaching children ages 4-12 then you really should look into how to teach English from home and see how it can help you meet your goals. I started teaching for VIPKID when I was a full time middle school music teacher. I would teach from 9-11 on Friday and Saturday nights and from 7-10 on Saturday and Sunday mornings. I would make about an extra $1,000 a month. It was a special little escape from the real world, a chance to connect 1:1 with another person across the globe, and I left each session feeling successful and energized. It was a side hustle. I never expected to enjoy it as much as I did or for those short bursts of time to add up quickly to very real amounts of money. Working full time and taking care of two small children, there were not really many second jobs that would fit my lifestyle. I really could not commit to regular hours every week. But could I find 25 minutes here are there to monetize? I could, and I think most people can. I am grateful for the opportunity to work one on one with students and focus my undivided attention on making those 25 minutes they best they can be. I don’t have to think about lesson planning or grading or curriculum development as the company provides all materials. There are no meetings to attend. I just get to teach. Having a laser-beam focused task also means every 25 minutes I have a feeling of success and after a decade in the brick and mortar classroom, I really needed that boost. I benefit so much from seeing the daily pay increase from my efforts. It is a challenge to describe the support I feel from across the ocean as the firemen are on standby watching me teach and at the ready to support me in any way I need. VIPKID is a place where I can make a difference, where my efforts are acknowledged and rewarded, and where I can close my laptop after a day’s work feeling pride and accomplishment. VIPKID made me a better teacher. I had struggled with talking too fast in the classroom for a long time and this job forced me to practice and work at fixing that. On days when I was so overwhelmed with teaching responsibilities, I found patience was the first thing to go in my classroom. Practicing patience with a young student learning a new language helped me remind me how rewarding it was to help some succeed through encouragement, patience, and compassion. In the VIPKID classroom, you are forced to stop and think about how to explain something in the simplest, more clear fashion. You are challenged to eliminate incidental language, to model more than ever before, and to engage learners physically in the lessons. This is good teaching practice and I saw the tools I used in my VIPKID classroom over the weekends show up in my brick and mortar classroom during the week. I watched my teaching transform and my confidence grew day by day as well. Some teachers worry that taking on a second job will leave them too tired to be a good teacher. In the VIPKID classroom I am setup to succeed. I can see instant results and I began Monday morning refreshed from the smiles of the students across the world and from the 5 apple feedback of their parents. I truly think the only way to understand what VIPKID could add to your teaching career is to try it. VIPKID made me a better mom. My daughters love asking what the students are learning about and playing with the props that are in my classroom before they go to bed. My 5 year old feels proud when the students are learning about something she already knows. I get a glimpse into the process of teaching someone to read, at the perfect time in my life when I am about to begin that journey with my oldest daughter. The patience I wrote about that overflows into my brick and mortar classroom? While that was a nice victory to observe, I noticed that I was more patient with my own children. It is hard to put a price on how grateful I was to be more calm, present, relaxed, and patient with my girls. VIPKID made me a better wife. Gradually we saw that I was less stressed and doing something that I loved. I was filling my own bucket. My husband had been practicing digital art as a side hobby for many years and he began helping me create reward systems for my classroom. While I would teach at night and have my ME time with the children of China he would use the other computer to create new reward systems for my classroom – https://www.teacherspayteachers.com/Store/Cookfamilyresources. We could share in the VIPKID journey together. He was the grill master for our local VIPKID meetup. He spends time with the girls in the morning on the weekends so I can teach and it is a win-win for our family that has really provided a balance in our lives that was lacking. VIPKID in an incredible team of people. The CEO, Cindy, is someone who we hear from as employees. She shares her vision, asks for our feedback continuously, and is grateful for the work of all people in all departments of the company. We receive a detailed weekly update from the company to unite 20,000+ teachers and help them all share an awareness of the direction the company is going in and what improvements have been made recently. When you are with a group of VIPKID teachers you won’t sense any competition. It is an incredibly sharing community of people who lift each other up to make sure every student receives the best 25 minute class possible. The company invests in every teacher and provides 1:1 training before they begin. There are free online workshops available on topics that we feel we might want to learn more about every single week. During class, we have a tech support team at our fingertips who can call the family and help with any tech issues that might prevent us from having a smooth class. After class, we can send any concerns to the company and they thank us for caring about the students and handle it for us. As a teacher for VIPKID, I just teach. This company values what I have to offer, applauds my strengths, showers me with gratitude for my hard work, and supports me to make sure I have what I need to deliver the best classes that I can. Do I need to prep to teach English online outside of class time? The curriculum is provided to you. You teach the 25 minute lesson, leave some feedback for the family, leave some feedback for the next teacher, and you are finished. There is very little prep work which was very refreshing to me as a classroom teacher. It is a special time practicing conversation with one student. It is a break from my fast-paced multi-tasking mom world. It is 25 minutes where my only job is making this student’s next 25 minutes the very best they can possibly be. How much will I get paid to teach English online VIPKID? The company pays about $7-13 per 25 minute class ($14-26 an hour). How many classes you teach in a month, and some other similar types of incentives. You get paid once a month through direct deposit to your bank. You are an independent contractor so you are responsible for your own taxes. You may teach as many or as few classes as you wish in a given week – you are in charge of your own schedule. Some teachers find teaching for VIPKID so rewarding that it becomes their full-time job but most people teach part time. You can apply for VIPKID here. How do I get started with VIPKID? You don’t need a resume and cover letter to apply – it is a quick online application. Having a 4 year degree is very important as is any teaching experiences so sell yourself well on the application. Mention any time you led scouts, taught swimming lessons, ran religious education courses, etc. After you apply you will be connected to a current teacher in the program who will help you every step of the way as you interview and be there as a resource to you as you teach your first few classes. Any “formal” or “informal” teaching experience, such as mentoring, tutoring, coaching, or alternative education is fine, and a Bachelor's degree in any field will work for VIPKID. 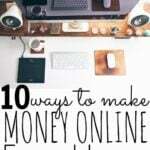 They have a simple application process which can be started by clicking here. Author bio: Janice Cook has been a public school music teacher for 12 years. She has also been teaching ESL online to students in China with VIPKID since February 2017. Janice lives in Connecticut with her two daughters and talented husband who also happens to love to help her create custom-made materials for her classroom. If you have any questions about VIPKID, please feel free to reach out at teacherjanice06066@gmail.com. Are you interested in learning how to teach English online with VIPKID? What other questions do you have for Janice on this subject? Thank you for providing such an interesting insight into VIPKID! I’ve taught English before. One thing I realized was that an hour of teaching for $25 could involve 3 hours of prep or $8/hour. I guess that’s the nature of teaching, but I’m glad VIPKID has a prepared curriculum. 25 mins here and there definitely sounds more doable than 1-2 hours. Yes, that is a big difference for me at VIPKID. There is very little time spent outside of the teaching time. They really pull everything you need for class in one place! I’m curious if you have done a tax return with your VIPKid teaching included? Taxes, including self-employment taxes,are such a big deal for anyone in a 1099 position. In my case, I pay an effective tax rate well over 50% by the time you include self-employment taxes, federal taxes, state taxes, and the loss of credits due to my income pushing us over the income limits. I looked into VIP kids but I couldn’t see working for effectively $7 to $12 per hour. I put aside one third of my pay as soon as I get my monthly check just in case. Tax situations are so individual. The state I live in, other jobs I hold, and my spouse’s job will all make my tax situation different so it is hard to compare and advise in that area. As I compare to my previous job I don’t have travel expenses and my work clothes budget has dropped dramatically. My childcare expenses are radically different due to the flexibility that I have. I think it is really important to research the impact of being an independent contractor but I feel confident that the take home pay in my situation is a good hourly rate. 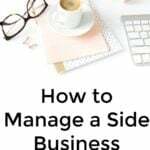 These types of side hustles provide online job security, a way for current adjuncts to earn supplemental income, and save more money not having to worry if someone is trying to take their job from them. I remember my nana saying one day, “You don’t just have a job, you have a position.” After 12 years in that role, I realized I didn’t want the pressures that came with having a position. Your comment about “trying to take their job” really resonates with me in that area. I come and give my students the best 25 minutes I can but then I am free to live my life. I don’t have the weight of their entire educational course on my shoulders. I don’t have the weight of the entire future planning of my department on my shoulders as I did in my previous position. I think diversifying my income streams and having supplemental income to move me towards my goals were really important things that VIPKID helped me see the value of. I started with just a little bit of teaching on the weekends. I didn’t need to take a life changing leap right away. This job molds itself around my hopes and dreams and plans in other areas. I feel where you’re coming from. I like the fact that you really added valuable feedback. Please know I dearly appreciate your precious time getting back to me. This to me is an ideal side hustle to have because you can do this from the comfort of your home without face to face interaction. I currently teach with VIPKID. I started as a way just to give myself something extra to do during the days. I work 1 hour per day and walk away with some extra spending money and am so happy to be teaching with them!